I have just returned from an amazing 13 days spent backpacking the Wainwright Coast to Coast Path, and what a fantastic 13 days it has been. The weather man threw everything at me, below freezing temperatures, heavy rain, sleet, blizzard conditions at times, thick mist and low cloud, and beautiful sunshine. The paths ranged from very nicely ‘paved’ sections to treading knee deep through almost swamp conditions as there had been so much rain. But all of to was just awesome! The route, the brainchild of the celebrated Lakeland walker, Alfred Wainwright, is officially 192 miles long and stretches from St Bees on the North West coast of England to Robin Hood’s Bay on the North East coast of England. I say ‘officially’ because often it is not possible to stop on the trail itself which adds some miles – my GPS in fact clocked 205 miles in the 13 days. The pedometer Ap on my iPhone tells me that I walked 475,000 steps 🙂 ! 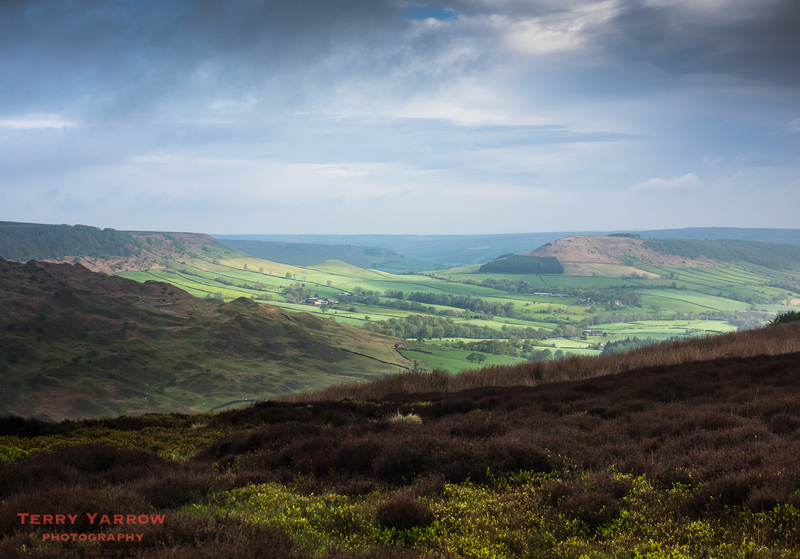 It takes in three National Parks, The Lake District, The Yorkshire Dales and the North Yorkshire Moors and includes coast, mountains, moorlands, rivers, valleys, farmland, in fact every type of landscape. It is very much a multi-cultural walk with people from all around the world coming to the UK specially to walk across this country, such is its renown around the world. It is also a friendly community trail – I have walked with and talked with some lovely people who were either following the same route or were local residents only too happy to welcome walkers such as myself – and to put us right when we took a wrong turn. It has to be said that it is a tough trail to walk, especially when carrying a 20Kg pack up over mountains over 2,500 feet high and where conditions under foot are not always great. It is of course possible to use baggage transfer companies and carry less but one of the joys of carrying everything on your back is the pure and exhilarating freedom to stop when and where you please, although it naturally makes sense to have some sort of schedule – for me, a very flexible one. A year ago I completed the Pembrokeshire Coast Path, another great trail, but the difference with this one is that good route finding skills are essential – in Pembrokeshire with the sea on one side of you and the land on the other it is hard to go wrong 🙂 ! This time, I took a GPS, map and compass, and a guide book……oh and I still had to resort to the iPhone map Ap to establish my exact position at times 🙂 ! All in all, it has been another fabulous experience and I have returned with not a single blister…..although I do have a pair of split boots as they didn’t wear quite so well as my feet! Over the coming weeks I will be blogging each of the days walked as I kept a journal running each evening. I will include photographs (naturally), some of the hardships, the delights (of which there were many), the people I met on the way, and much, much more. I hope you will join me. Your friend The Dorset Rambler. Comments and feedback on this blog are welcome. If you would like to contact me, my details are on my website which is http://www.yarrowphotography.com. If you would like to join me on my walks, my Twitter feed is http://twitter.com/adorsetrambler. Oh we are So Proud of you. Do you think I could do it as a woman of 60 and frightened of heightsTerry? I would so love to , but the heights of the hills worry me!!! ??? Did you book B&B or what was your way ? Hi John and Liz. Great to hear from you and thanks for your kind comment. Liz, you could definitely do it – there aren’t any really dangerous parts. No, I tented most of it but did have a couple of nights in hostels to try to dry things out a bit 🙂 Hope you are both well. Thanks Terry, you are definitely giving us something to think about now as I would so love to do the C to C.
Well done on completing it, Terry, I look forward to reading the blog! Well done! My business partner here at Discovery Walking Guides did the C2C last year and had similar rainy conditions for much of it – but there’s no denying what a great experience it is.